“I don’t drink, I don’t smoke, but if they ever put a tax on talking, I’m in trouble”! Patrick Kelly joined our sales team in the Summer 2018 and brings a great attitude and enthusiasm with him and a real twinkle in his eye. His family home is in Emyvale in Monaghan and he is married to Leonia with four children, 2 boys and 2 girls. His professional career started at the age of 15 as a cabinet maker with John E. Coyle in Monaghan, who at the time was the largest furniture exporter from Ireland to the UK. He spent four years there before retraining as a roofing contractor and building timber frame houses. Following on from this Patrick set up his own business selling roofing line products, insulation and renewable products in Ireland and the UK. 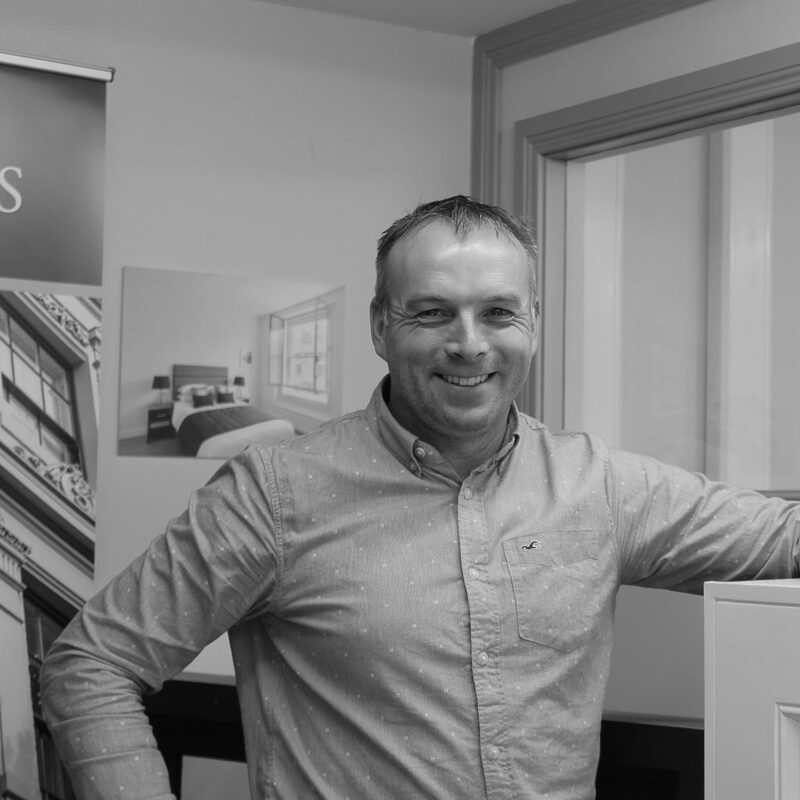 After 17 years he took up the task to work for Timeless Sash Windows. He believes in getting out of his comfort zone and challenging himself. Why Timeless Sash Windows? “I like the product” says Patrick. “All the products I’ve ever sold are top quality products. I’m a big believer in the quality, durability and lifespan of the product. 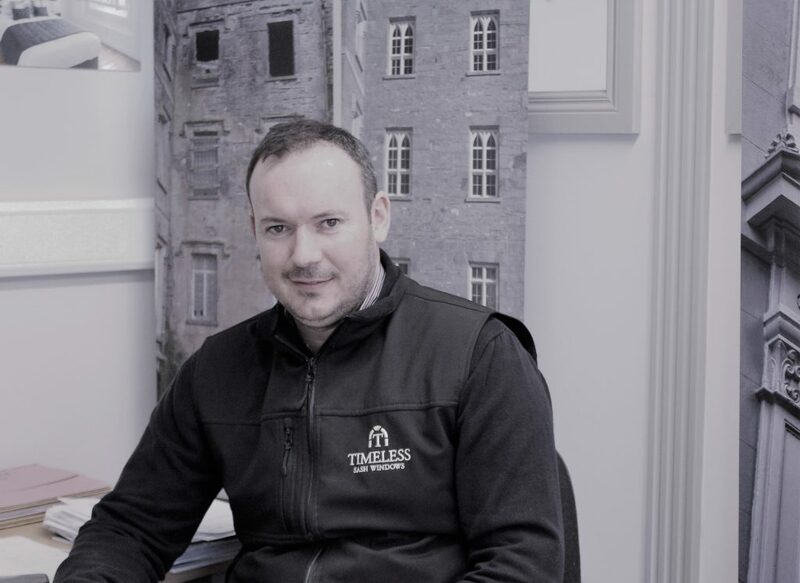 I like the work environment here at Timeless Sash Windows too: the family nature of the company and the team ethos is attractive. It’s lovely to be part of a team, as working for yourself can get lonely sometimes”. A busy man, Patrick also helps with the running of his wife’s home farm – a beef farm; and he is heavily involved in football. He manages the Cootehill Men’s Senior Team, he is the chairperson of the Emyvale Ladies’ team and he helps out coaching the juvenile football teams on the weekends. Indeed, Patrick was the captain of the Underdogs football team on the TG4 cult TV series that amassed a huge following when it aired in 2003. And in his younger years Patrick represented club, county and province in athletics events, winning an Ulster U19 Cross Country medal. Does he get any time for himself?! He enjoys going to the cinema and concerts and loves an annual holiday abroad in the sun. His dream is to travel the southern states of America and drive Route 66. 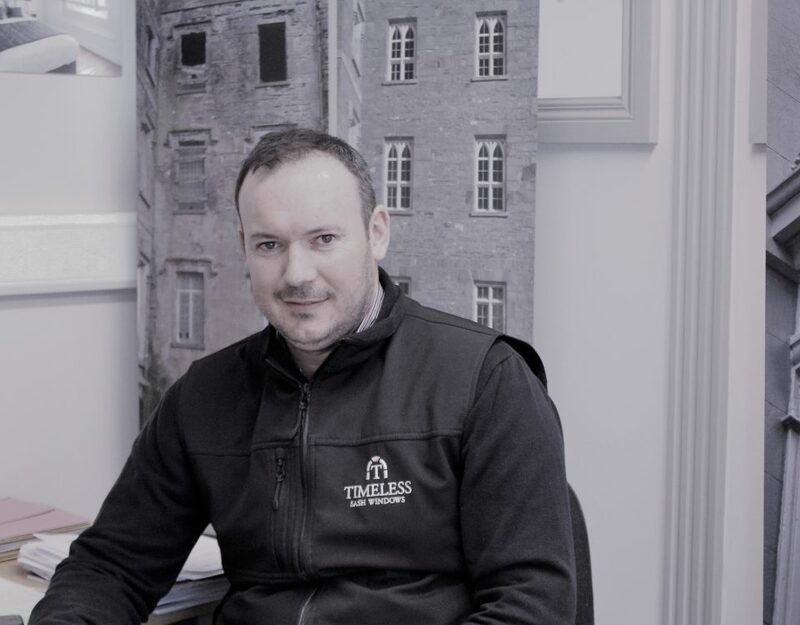 Patrick is on the road for Timeless Sash Windows 3 – 4 days a week, visiting clients all over Ireland and surveying properties. On the office days he works hard to draft quotes and handover the jobs to the project management team. Always with a positive outlook and quick wit, Patrick is an all-round great person to have on our team!